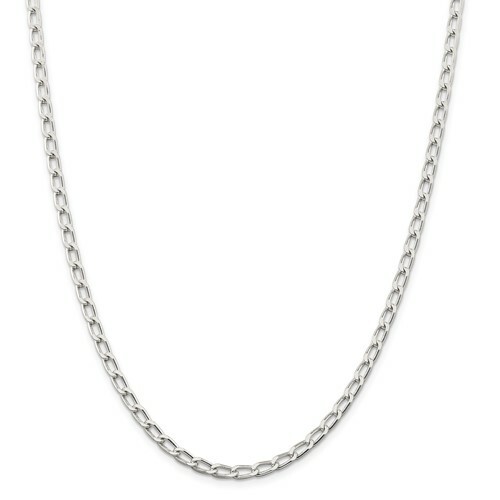 20in open link curb chain made of polished sterling silver. 4.3mm wide open link chain. Weight: 16.85 grams. Lobster clasp.